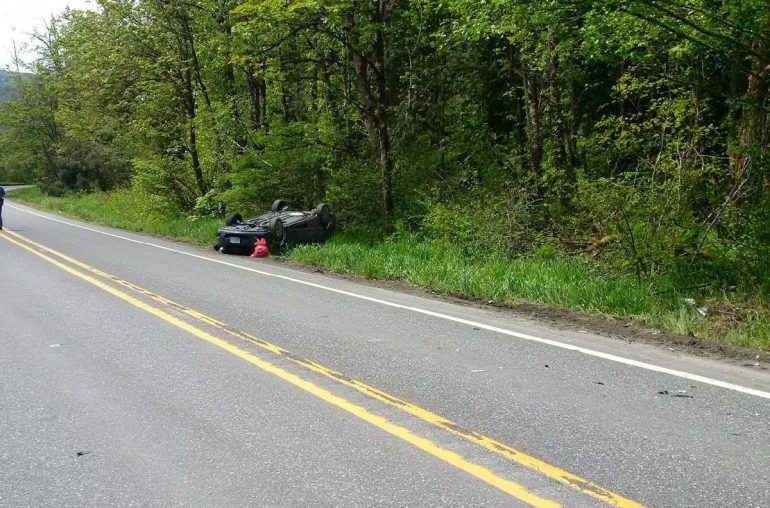 Two people were killed in a three-vehicle car accident on State Route 542 near Mount Baker on Sunday. According to the Washington State Patrol, a 24-year-old woman was driving a sedan on the highway, with her husband and infant son following behind her vehicle in a Subaru. A large SUV crossed the center line and sideswiped the mother’s car before hitting the father’s car head-on. The mother swerved to avoid the SUV and her car rolled over into a ditch. The father and child were killed in the collision. The mother and the driver of the SUV were both injured. Witnesses at a Mother’s Day brunch at a nearby restaurant heard the crash and rushed out to help. They tried to get the father and son out of the car, but emergency responders were unable to revive them. The driver of the SUV, a 71-year-old veteran, reportedly left the scene in critical condition. The mother was injured, but witnesses said that she was able to walk around at the scene. "I heard this humongous crash. I’m talking… I thought it was a semi or something ‘cause they come up and down the road sometimes. As soon as I looked out the door, I just seen that car there rolling into the ditch and then there was people from the restaurant that ran out and there was total chaos," a nearby resident who ran out of his house after the crash told reporters. Police have not yet released details about what they believe caused the crash. 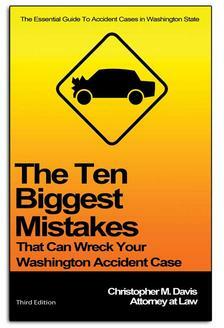 Head-on collisions are among the most dangerous types of accidents on Washington state roads. They are especially prevalent on undivided highways, where the combination of high speed limits and lack of barriers between lanes flowing in opposite directions can be a fatal combination. At a high enough speed, even a split-second lapse in judgment can cause a deadly crash. Sometimes, an accident at high speed can be caused by something as simple as a moment’s lapse in judgment. Often, however, it’s caused by a driver who was incapacitated or made a poor choice on the road. Many head-on collisions are caused by drivers who are distracted by their cell phones, tablets, GPS devices, pets, children, or other things inside their vehicle that they prioritized above keeping their eyes on the road. Drunk and drugged drivers may also be responsible for a head-on collision because their judgment or reaction time was impaired. Sometimes, especially in cases involving elderly drivers, a medical emergency might have caused the driver to lose control of their vehicle and drift out of their lane. Looking For A Lawyer After A Head-On Crash? At Davis Law Group, we’ve spoken with many victims of head-on collisions on Washington state highways. Because the injuries involved in these auto accidents are often severe, victims often choose to have an personal injury attorney help them with the insurance claim process. If you’re looking for an experienced personal injury attorney with a track record of excellent results, you can contact our legal team any time by calling (206) 727-4000, filling out the form on the side of this page, or visiting our contact page.